Learn how to create a connector with other platforms. 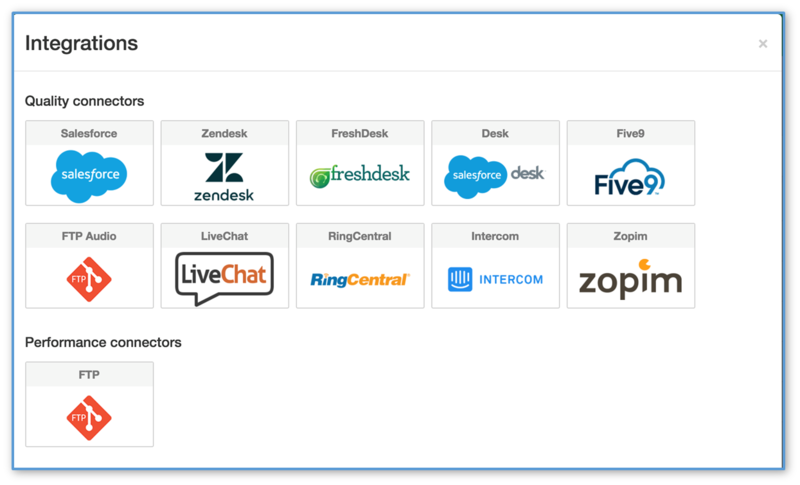 In the process of configuring PlayVox, you will want to set up an integration with other vendor platforms to pull in user information and to pull in customer interactions to be evaluated. We have simplified this integration with a few steps. Once you have logged into PlayVox, click on the platform administrator gear icon in the top right position of the screen. Click on the Integrations option in the menu. The Integrations settings page appears on your screen. Click on the green plus symbol to begin. Choose the platform you wish to integrate. You have two general options. Either integrate directly with a listed vendor platform or with an FTP Audio site that PlayVox can set up for you. When choosing a platform, you will be prompted for additional information required to set up access. This information will be specific to the platform and familiar to the system administrator for that platform. You may need to request account information from a system administrator for that platform or from an IT resource. An example is provided below. The image below shows a list of connectors as examples. As you add new connectors, they will appear within your list. Once a connector is set up, there are two actions you can take. You can synchronize user account information on the PlayVox platform and the 3rd party vendor platform, and, secondly, you can create filters as part of the configuration of Quality settings. 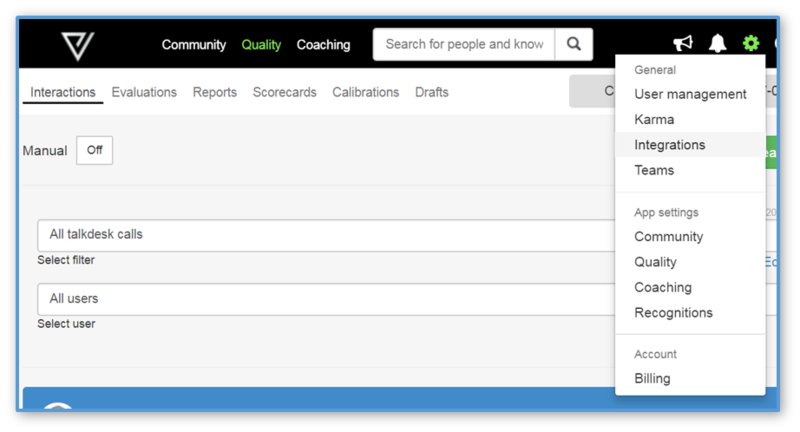 Filters allow you to select and present specific customer interactions to QA evaluators. Filters are specific to criteria set up on the 3rd party vendor platform. They are covered in another document. Creating filters - learn how to set up filters to prioritize which customer interactions are evaluated by quality analysts. User Management - If you wish to set up users that exist on the 3rd party vendor platform.